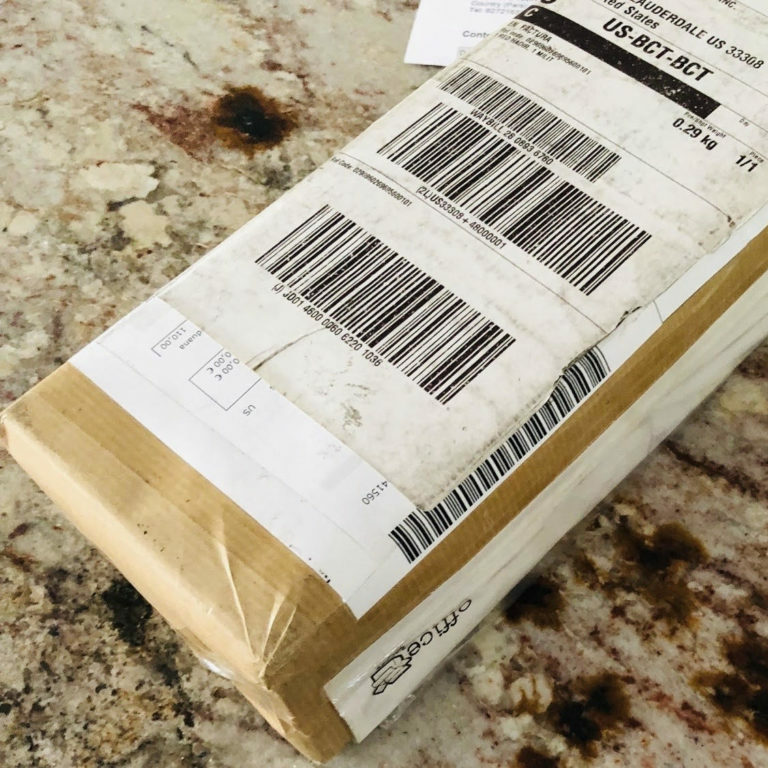 How important is packaging? When it comes to electronics, paintings and crystal stemware, it is really important. It is damage control. In the fashion world it is usually less about protection and more about style. When purchasing expensive designer hand-made clothing, whether buying in a store or buying online, you are also buying an experience. That experience includes the unveiling of your new treasure. 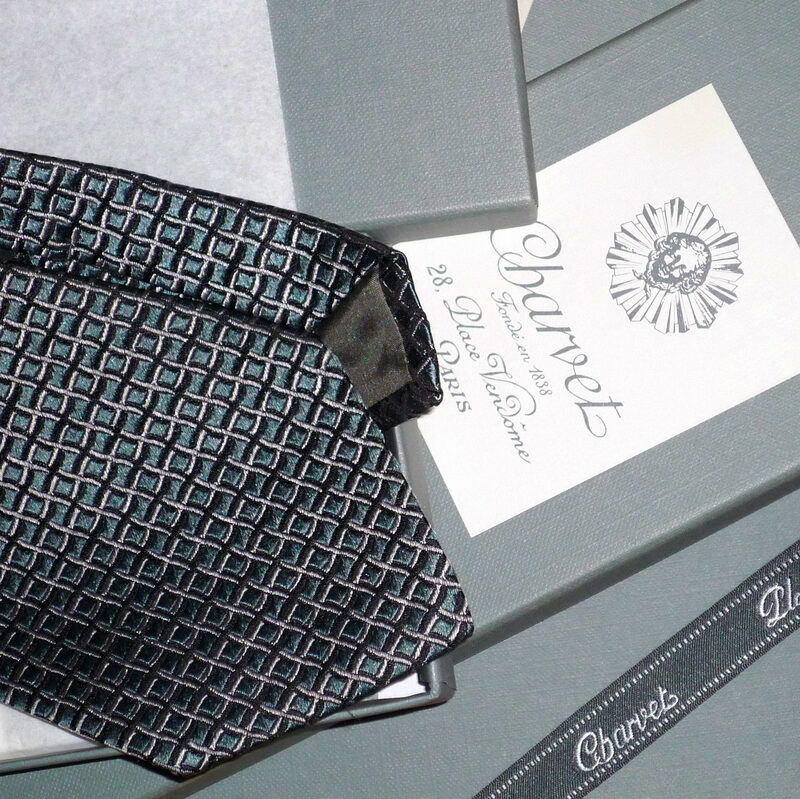 This October we ordered hand-made ties from various houses and compared their packaging. 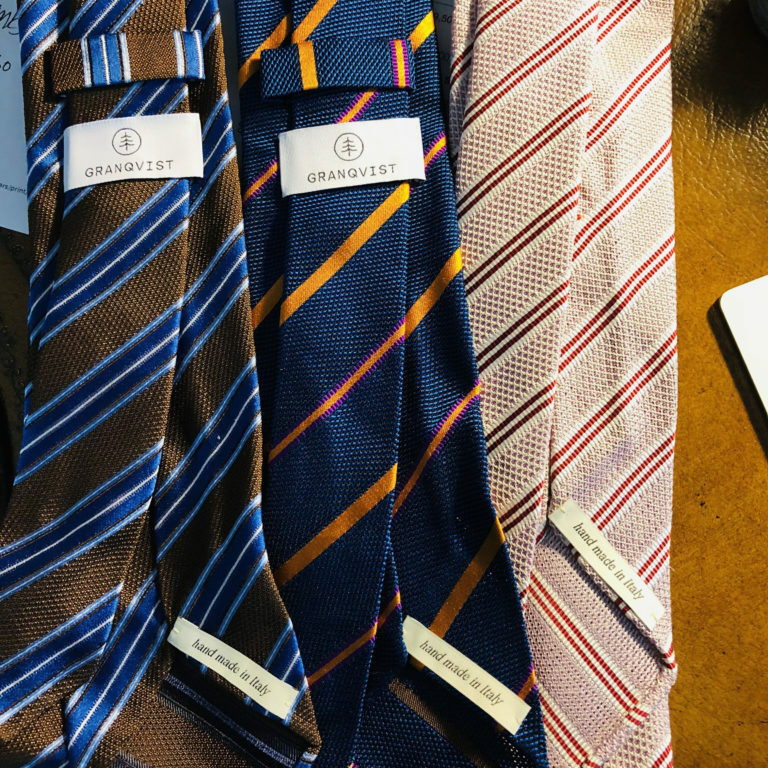 Gentl Supply is a company out of Spain that sells ties worldwide. I ordered two of their ties, one Grenadine and one printed silk. The ties were nicely packed in individual blue boxes. I had seen online somewhere where their name was printed on the boxes, but mine were plain. 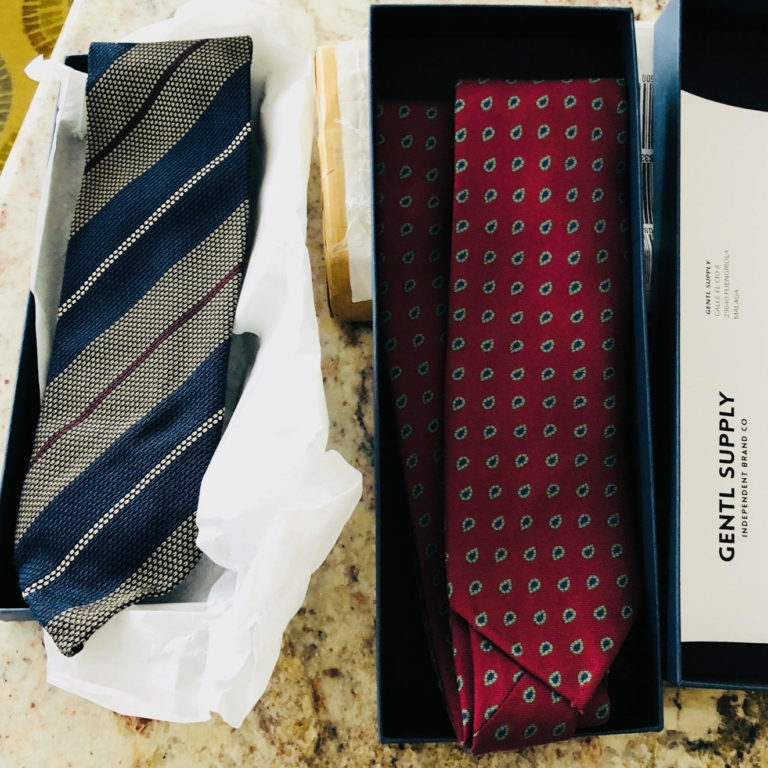 The boxes are nice quality as are the ties. 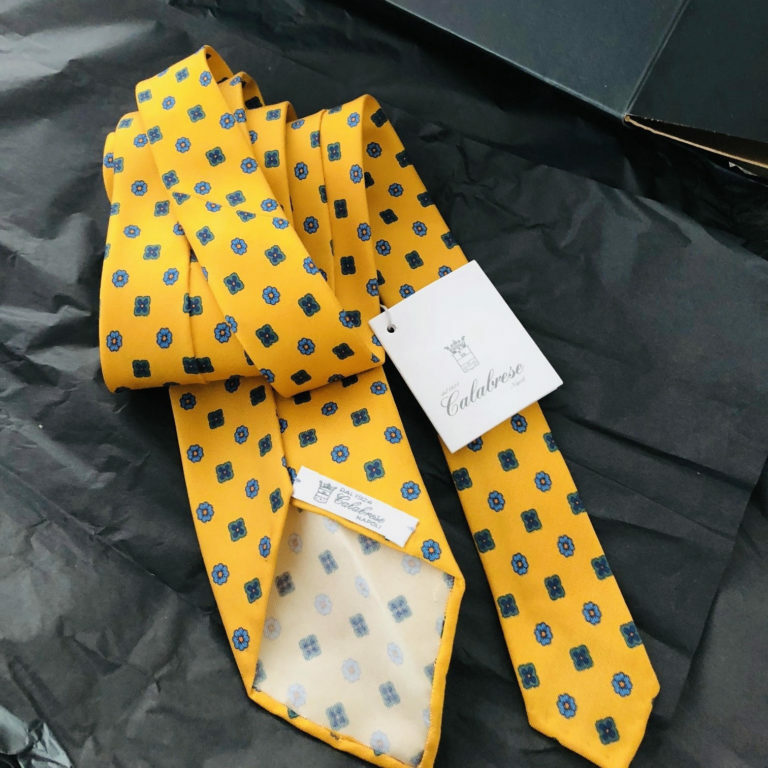 Granqvist originates in Stockholm, Sweden and has a nice selection of menswear including a large selection of hand-made ties. 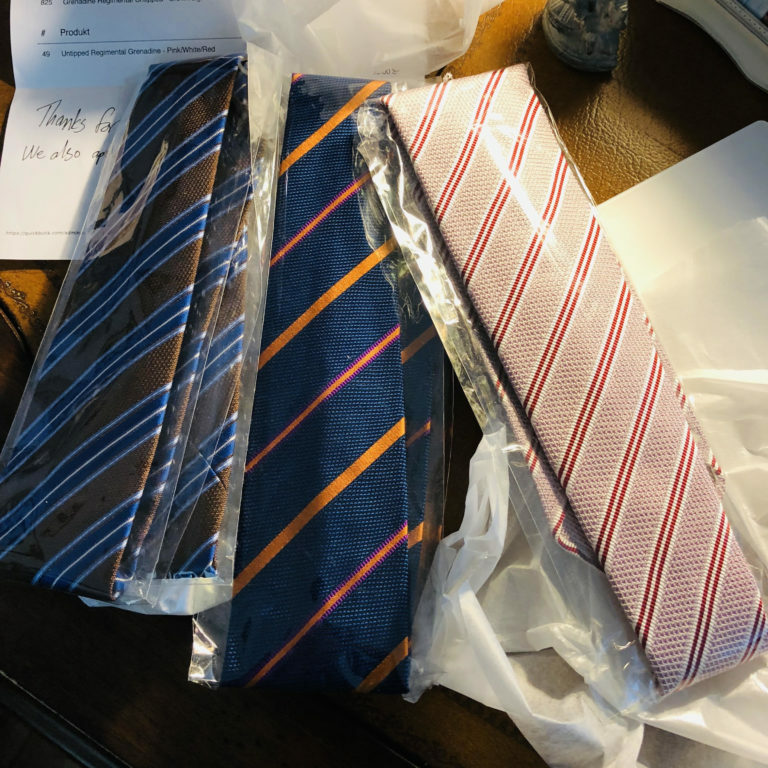 I ordered three ties from them. 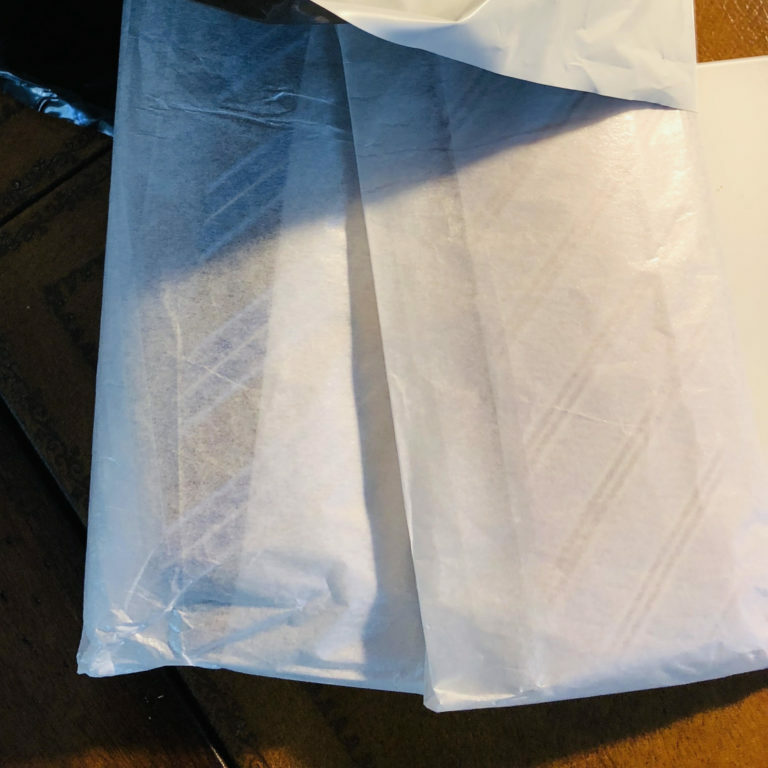 The ties arrived from overseas in a plastic mailing pouch and were covered in wrapping tissue under which were clear plastic sheathes holding each tie separately. They also came with a hand written note from the owner Henrik Granqvist which was nice. 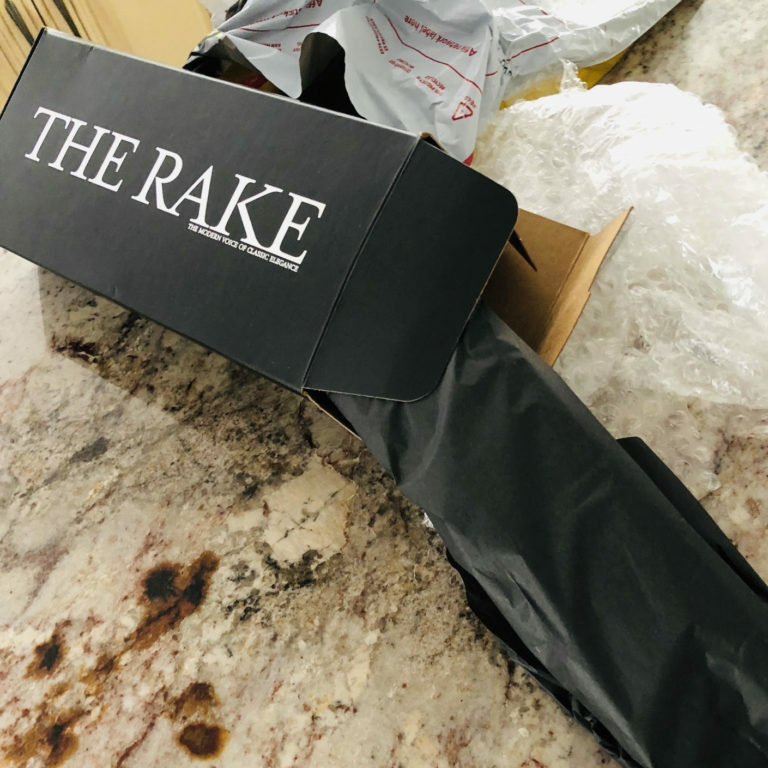 The Rake out of the UK sells a wide variety of high end men’s clothing and accessories. 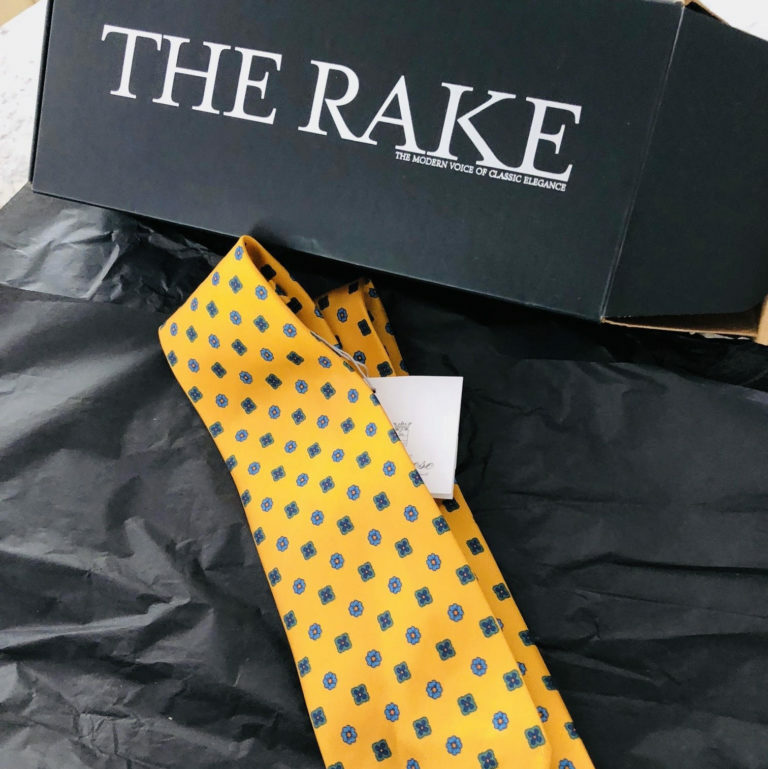 I ordered one tie from The Rake, a yellow silk Calabrese 1924. For one tie, the packing was immaculate and comprehensive. 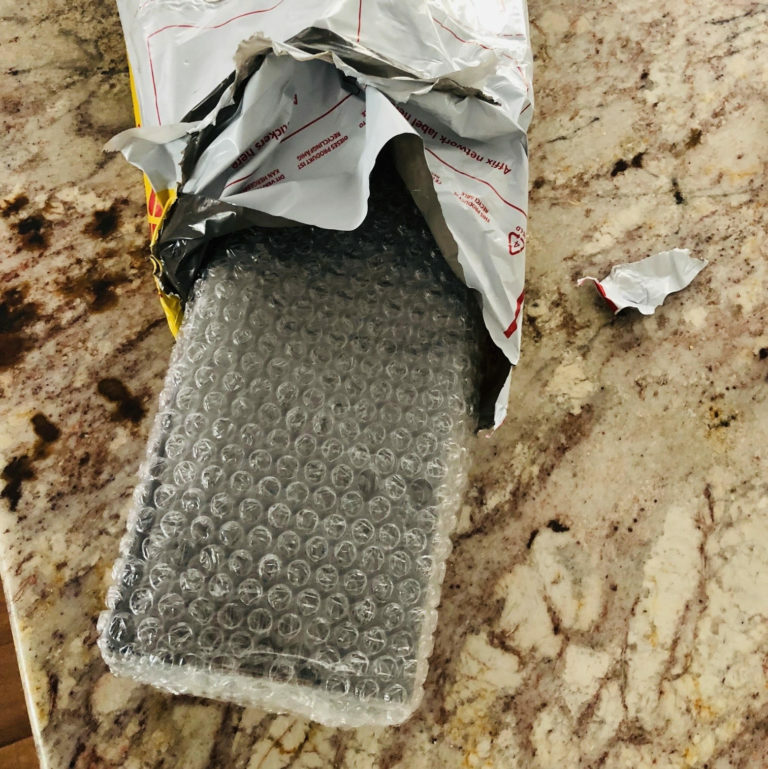 Inside the plastic mailing pouch was a bubble wrapped signature black box. Inside the box was my tie wrapped neatly in black wrapping tissue. 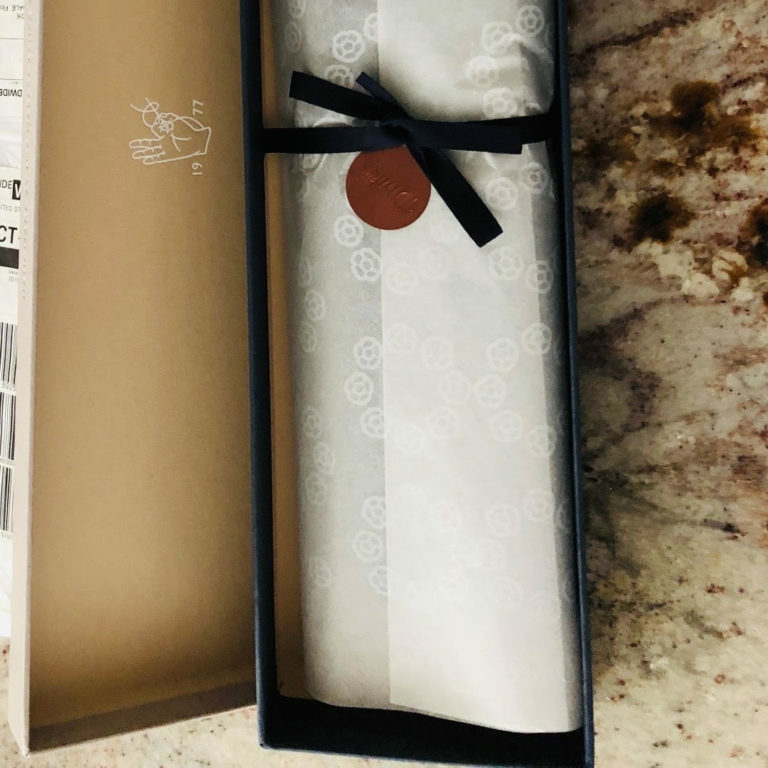 The box was not as nice as the ones from Gentl Supply, but it is labeled nicely and the rest of the packaging was impressive as is the tie. 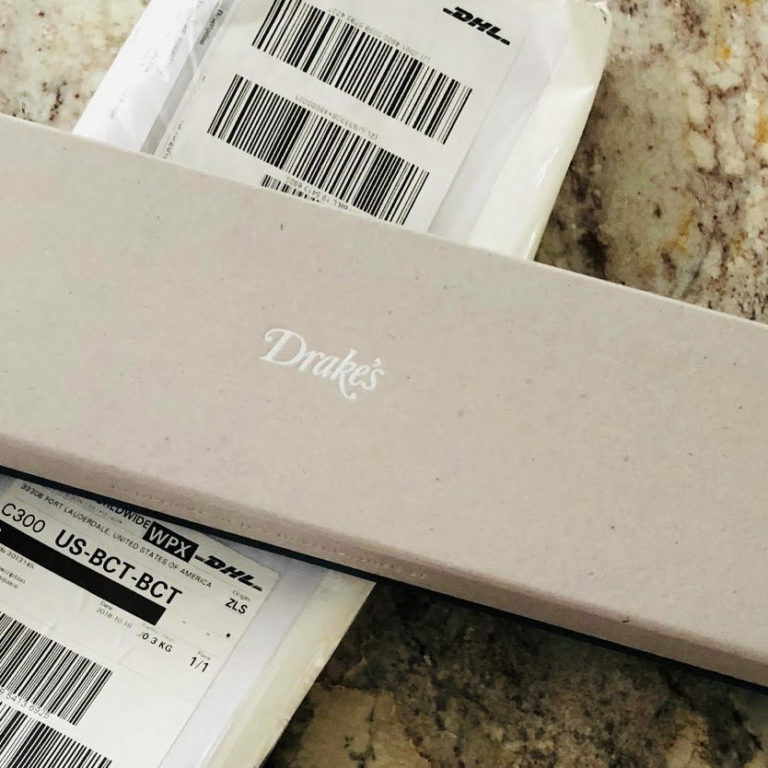 Drake’s also originates out of the UK and has an extensive list of men’s products under their own brand. 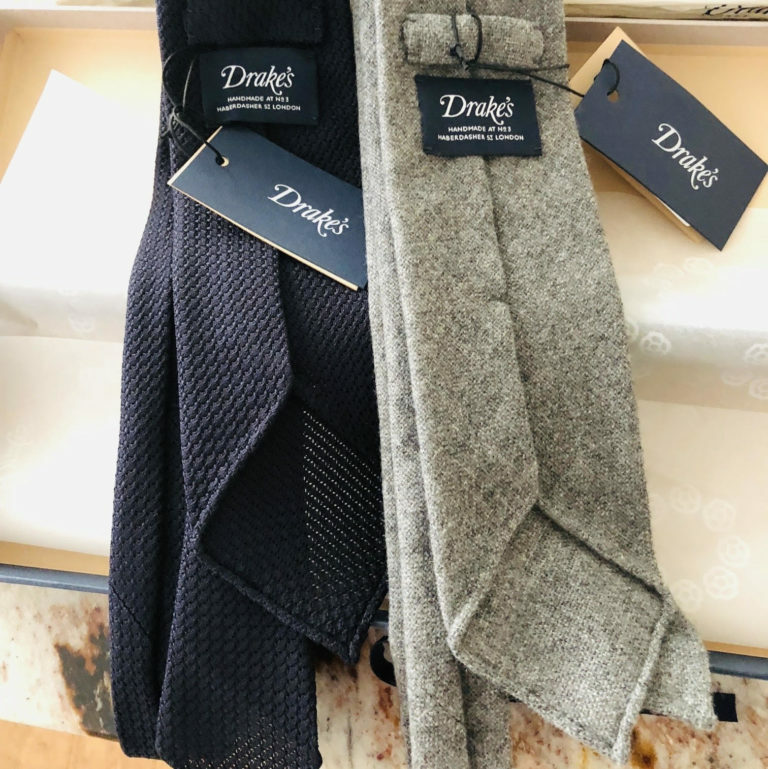 I ordered two ties from Drake’s. 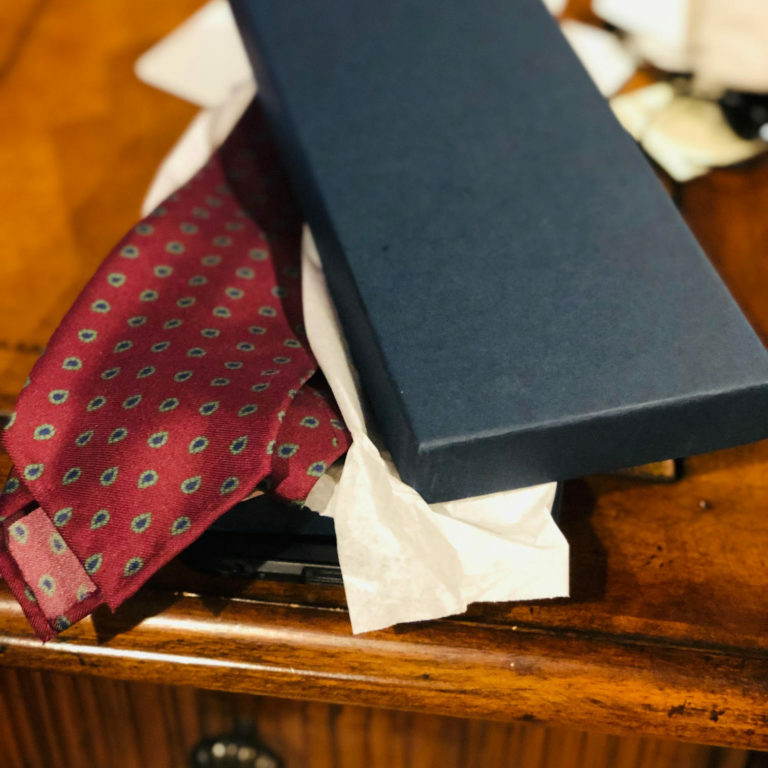 Though not in their own individual boxes, this beautiful, sturdy two tone box with the elegant imprinted name on the outside and 1977 logo on the inside was the perfect size for both ties. Then there was the triple luxury of the hand tied bow, the designer sticker and the custom wrapping tissue. These beautiful ties also came well branded. 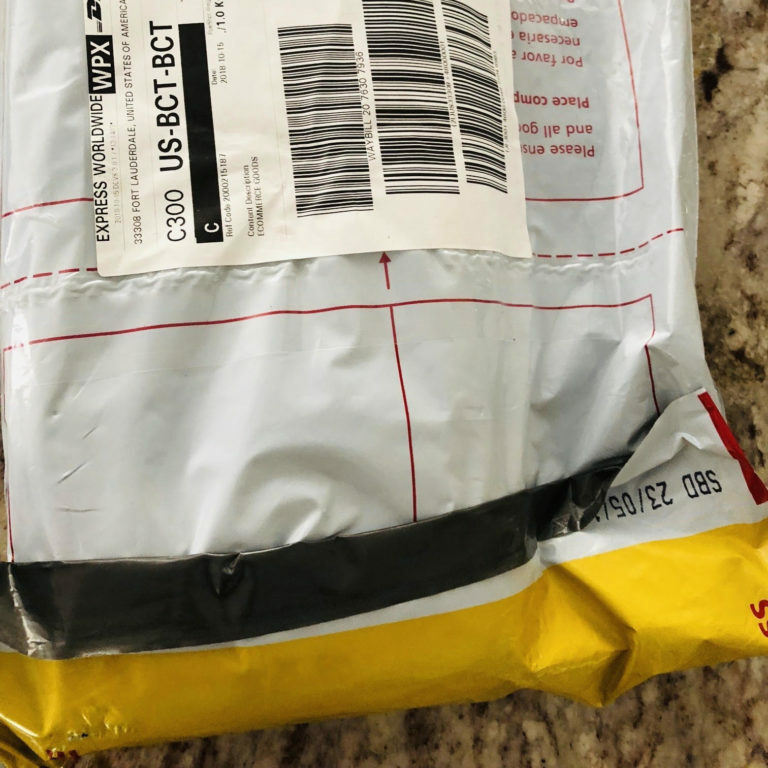 Neiman Marcus is a large luxury department store and is more of an in store experience than an online order experience although I have had some nicely packaged items shipped from them. 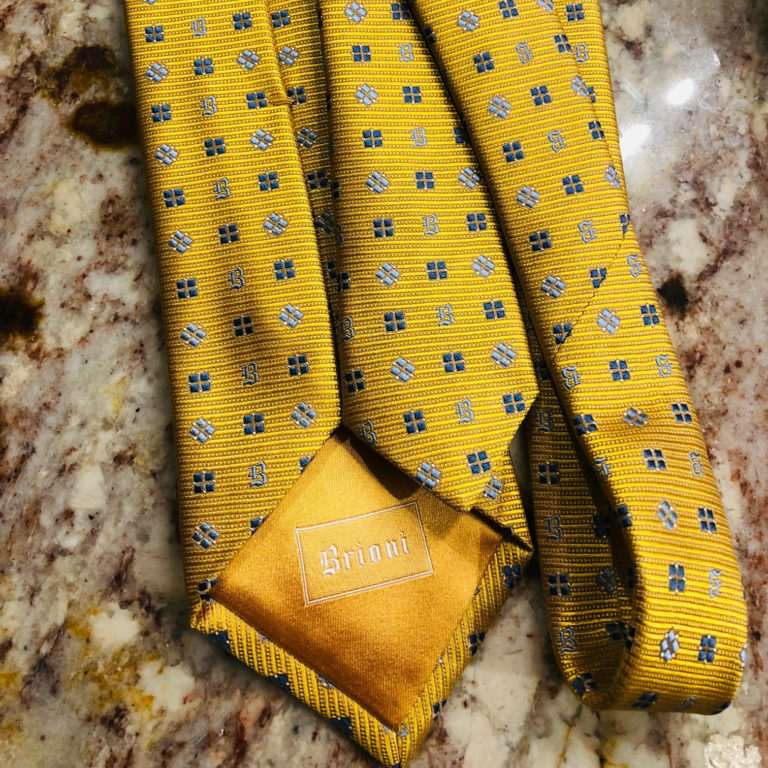 In the case of this Brioni tie it was not the case. 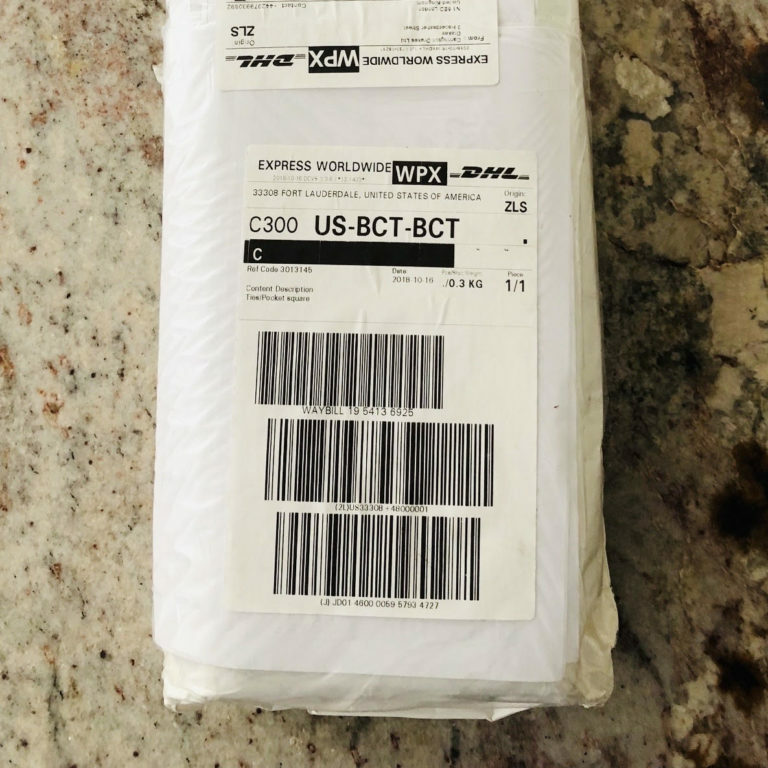 It may not be fair that the tie came in a larger box with a larger item. That is not a cashmere pillow that their ties come cradled on, that is a cashmere Begg & Co. scarf. However, you can see that the tie was simply shipped in a clear plastic bag in a shipping box. 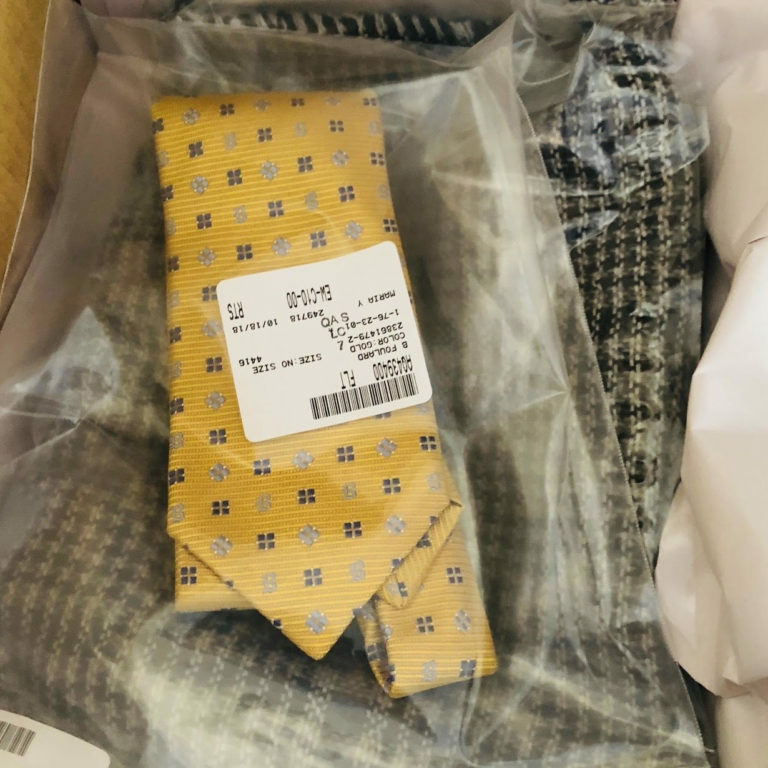 All these beautiful ties arrived in and timely fashion and in perfect condition which leads me to believe that the differences in packaging are more cosmetic than essential. But the experiences of unwrapping them were different, with Granqvist being the least exciting to open and Drake’s being the nicest. 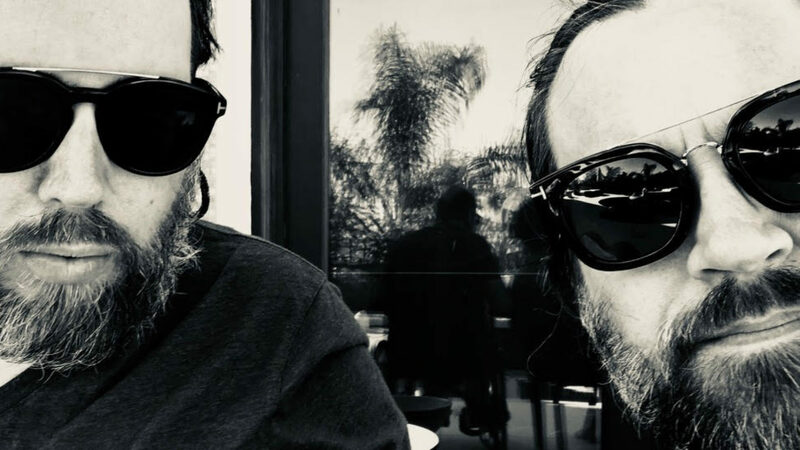 Do you pay for that difference in experience? Yes! The Drake’s ties were at least twice as expensive. 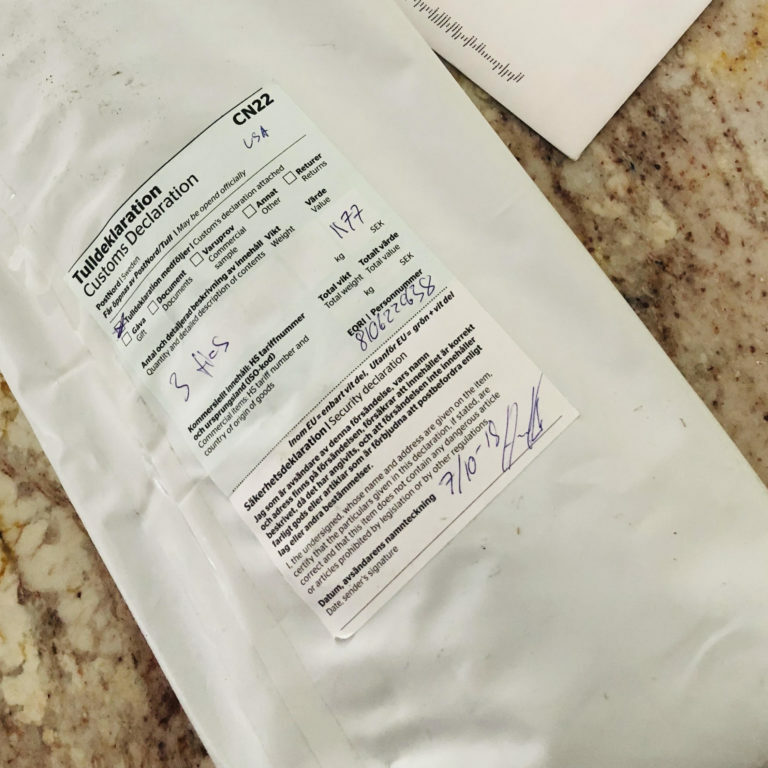 Any smart company will consider the cost of their packaging in their pricing.